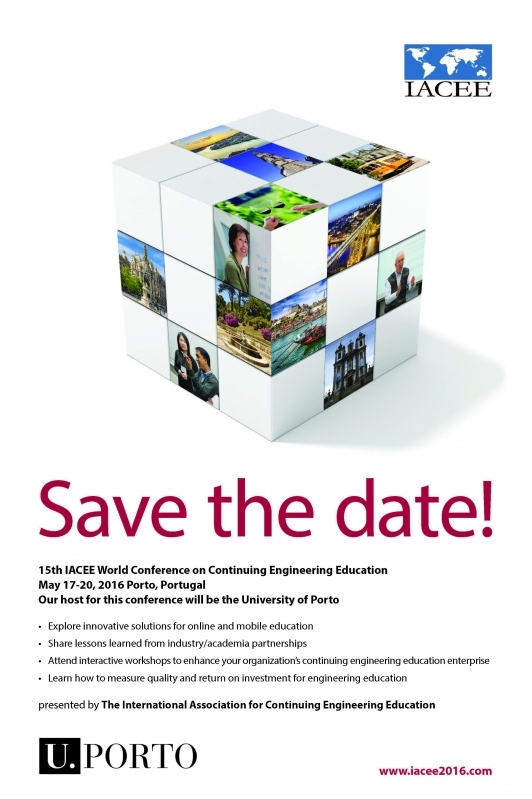 The 15th IACEE World Conference on CEE has been scheduled for 17-20 May 2016 at Porto, Portugal, hosted by the University of Porto. Keep in touch with conference developments through News items on this website, the conference website, and through direct mailings to IACEE members. Alfredo Soeiro, Past IACEE President (2001-2004), is the General Chair of our next World Conference and welcomes your thoughts and ideas on the development of the conference program. He may be reached at avsoeiro@fe.up.pt.